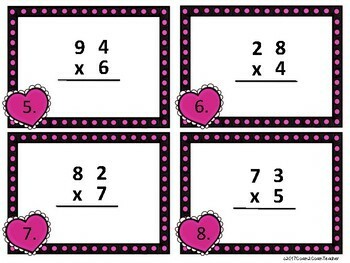 A great way to have your students practice multiplication skills. 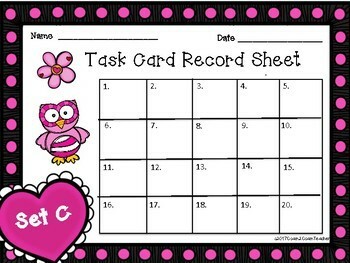 Task cards can be printed on card stock and laminated for durability and long term use. 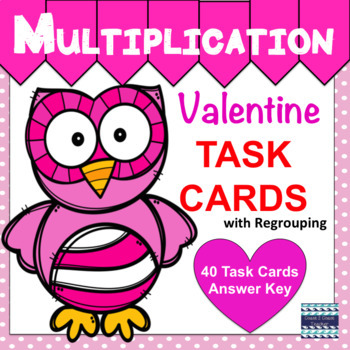 Included in Set C: 20 Task Cards (2 digits x 1 digit, Regrouping), Student Record Sheet and Answer Key. 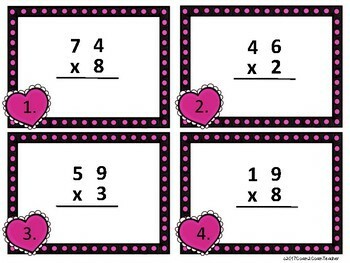 Included in Set D: 20 Task Cards (3 digits x 1 digit, Regrouping), Student Record Sheet and Answer Key.